Two more teacher trainings were organized by SpeakApps recently. The first workshop, named “Travailler l’oral en ligne : outils et stratégies”, took place on the 8th of September at the Universitat Autonoma de Barcelona (UAB) during the XXVII Journées Pédagogiques sur l’Enseignement du Français en Espagne, organized by the Department of French and Romanic Philology and the Institut de Ciències de l’Educació (ICE) and it was given in French by Nathalie Bittoun Debruyne. 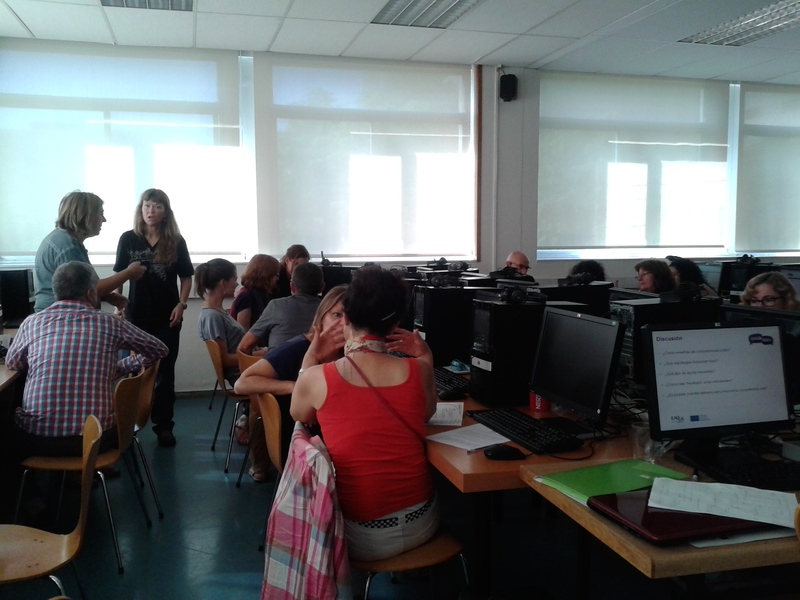 The second was a 2-session workshop and took place at the Escuela Oficial de Idiomas of Drassanes on the 18th of September and 2nd of October. This workshop was given in Spanish by Jackie Robbins with the collaboration of Troy Dagg. Both the workshops were very interactive and raised a lot of interest among the participants, who participated actively. More to come soon…stay tuned!